UNDER CONSTRUCTION. DOCUMENT MAY CONTAIN OUTDATED CONTENT AND IS SUBJECT TO CHANGE. 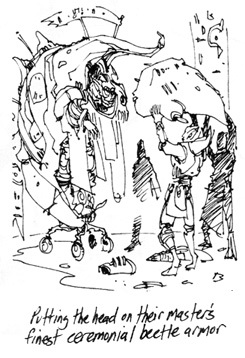 Some early concept art for House Telvanni by Michael Kirkbride. 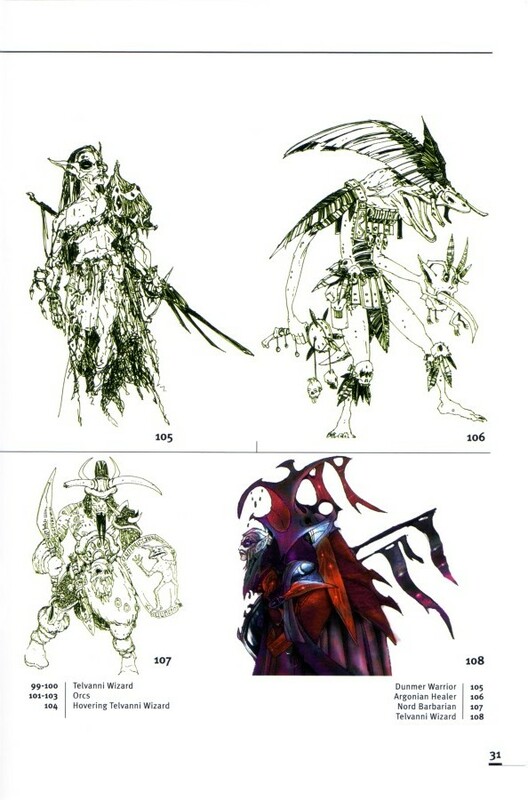 It visualizes some of the more alien concepts we hope to re-inroduce into our portrayal of House Telvanni. House Telvanni's particular Tribunal is Sotha Sil. If any house is individualist, it is House Telvanni. As the later sections demonstrate, the house is built around individual wizards and their host of mages, coexisting with other magelords in a very uneasy peace mediated through the Parliament of Bugs. House Telvanni is not of one mind on anything, it is a battle of all against all. House Telvanni value power, knowledge, and especially the application of one in the pursuit of the other. Understanding this reclusive and mysterious house goes beyond generalizing their character and pigeon-holing them into your typical "fantasy mage" tropes. While it is true that they have attained a certain mastery when it comes to the arcane arts, their character primarily revolves around their fiercely independent and competitive nature. They are cynics in the utmost, having achieved a state of lucidity through isolation and their pursuit of power and knowledge. They have mostly shunned the rest of Morrowind, preferring to live in their isolated sadriths where they can tinker in relative peace. They have absolutely no loyalty to any force or power but their own. 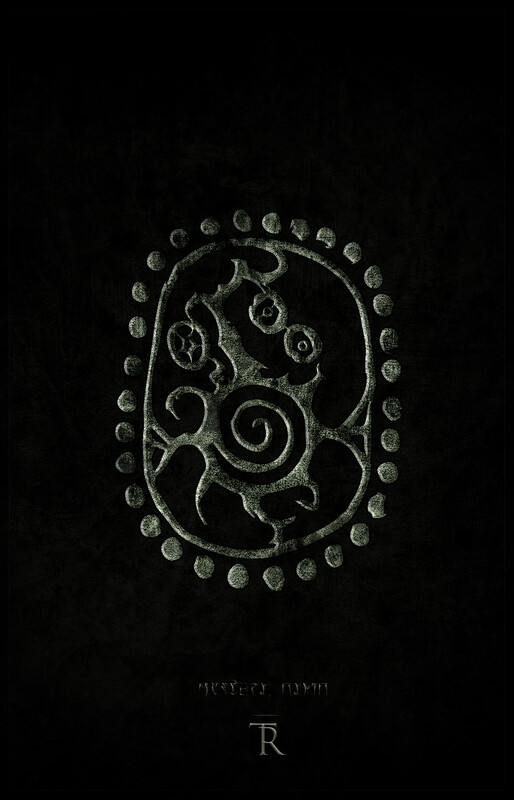 House Telvanni are, in Vivec's words, iconoclastic, profane, and unconventional. They area house of which embraces a certain conception of liberty as a value – one in which only those who are willing to completely embrace that libertarianism can rise to the top. 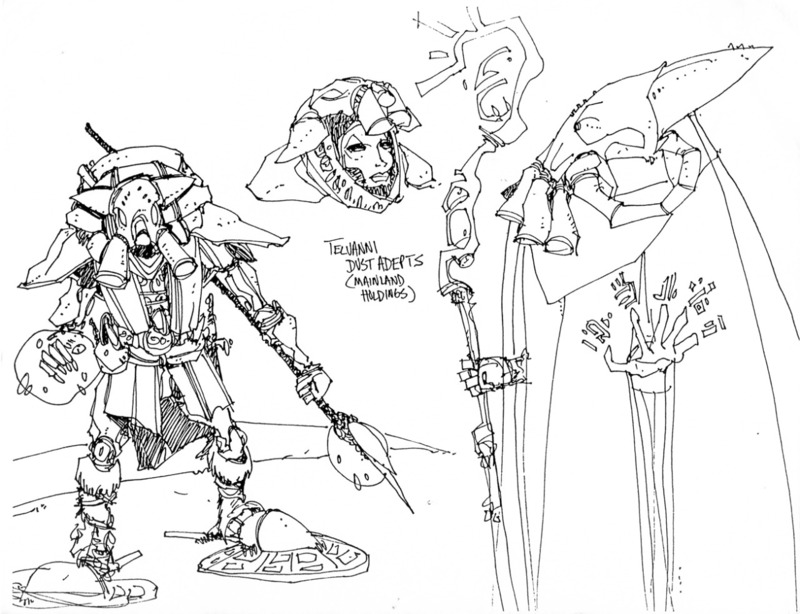 High ranking Telvanni therefore have strong views which are divergent from one another and definitely from the mainstream of Morrowind society. House Telvanni is mostly structureless. Once a person is kin to the House, they advance through the service of a particular great Wizard. Individuals of the rank of Wizard or above achieve their rank through the exertion of power and authority, and not through any official recognition. The House does not do anything, it has no center of gravity. Some of the Wizards, who style themselves the Master Wizards, are recognized as being above other Wizards in rank and power. These Wizards have created mouths, copies of their minds in other peoples' bodies, who sit in the Parliament of Bugs to represent them in any conflict. Other Wizards send temporary, fully conscious representatives to the Parliament. One Wizard may declare himself the Magister, claiming the right to rule all of House Telvanni. He is usually only successful if he takes a hands off approach. If his rule is accepted by the Parliament of Bugs, he is declared the Archmagister. It takes a certain boldness to claim the title of Wizard, and an even greater boldness to claim to be a Master Wizard. If other Wizards are threatened or offended by an assertion of authority, they may attack the claimant. On the other hand, if a Wizard or Master Wizard shows signs of weakness or failing, other members of the House may see an opportunity to advance themselve at that Wizard's expense. Telvanni politics are cutthroat and chaotic. It takes an even greater boldness to declare onesself the Magister. A Wizard's sadrith tower is the core structure of House Telvanni. It contains the Wizard themselves, as well as their chief advisor, the Sycophant. Other close personal advisors and assistants of the Wizard are called Spellwrights. The bulk of the remaining magical servants are called Casters, who have established them within the tower, while new House members they sponsor are just known as Craftsmen. Also present at a tower, of course, are commoners not affiliated with the House Telvanni, Kinsmen, who are members not pledged to any particular mage-lord, and slaves. Mostly absent from the Battle of Red Mountain was a faction of abstainers who did not join the Second Council but also did not take up arms against this. These were mainly magicians who had worked with the Dwemer to some degree. For the most part they did not know about the Dwemer's discovery of the Heart of Lorkhan. Among them were Fyr, and Dral, who were both alive at the time. House Telvanni is ultimately descended from this group, and therefore does not claim to be the legitimate heir of the Second Council, but rather is a separate scion of the First Council, which objected to the war with the Dwemer. After the proclamation of the Tribunal, many of these abstainers were dubious of the new order and of the divinity of the Almsivi. Though they were unfaithful, they did not polemicize against the Temple, and after retreating to the far reaches of Morrowind, where they grew what would become Port Telvannis, they were allowed to live in peace. They adapted the sadrith plants of these isles for their homestead and became known as the Telvanni, the people of the towers. Their homestead took its name from this practice as well. Over time, they spread out from Port Telvannis to other parts of northeast Morrowind, which was mostly undeveloped except by the Ashlanders. The Temple made no effort to stop them. However, after Vvardenfell became a preserve of the Temple, it would be against Temple law for them to plant on Vvardenfell proper without permission. This edict would ultimately be ignored, most flagrantly by Aryon, who also took lordship over the Velothi town of Vos. Around the time that Dagoth Ur reappeared, Dral claimed the Magistership and was recognized as Archmagister. Dral is the second-oldest mortal in Morrowind, being of the same generation as the Tribunal (Divayth Fyr is considerably older than even Nerevar was, being born shortly before Morrowind was conquered by the Nords). Shortly after becoming Archmagister, he mysteriously disappears and is not heard from, except in the form of his Mouth, for the next 430 years. An all-out bloodbath is almost inevitable, as the ensuing power struggle to attain mastery over the House is set to reach a stunning climax. Port Telvannis and Sadrith Mora are the only real cities of the Telvanni, and Sadrith Mora only exists to treat with the Imperials at Wolverine Hall. Port Telvannis is a sprawling web of sadrith monstrosities. Port Telvannis was the original home of the Telvanni, until they needed to get away from each other for their own protection, and began building sadrith towers elsewhere. Port Telvannis remains the hub of what little “house activity” exists, including the Parliament of Bugs, and in order to enter it, a person must be marked with void salts at Gah Sadrith by the ferrymen-warders (an unpleasant business). Leader of House Telvanni and recognized head of the House. A person who claims to be the head of the House. The Parliament of Bugs, a “rank” that loosely correlates to the House Councillors of other houses, demonstrates holder of title has attained mastery in a particular art or knowledge, and is recognized by peers. Respected wizards in their own right, masterful in their craft, and have their own tower. The chief adviser and assistant to a Wizard or Master. 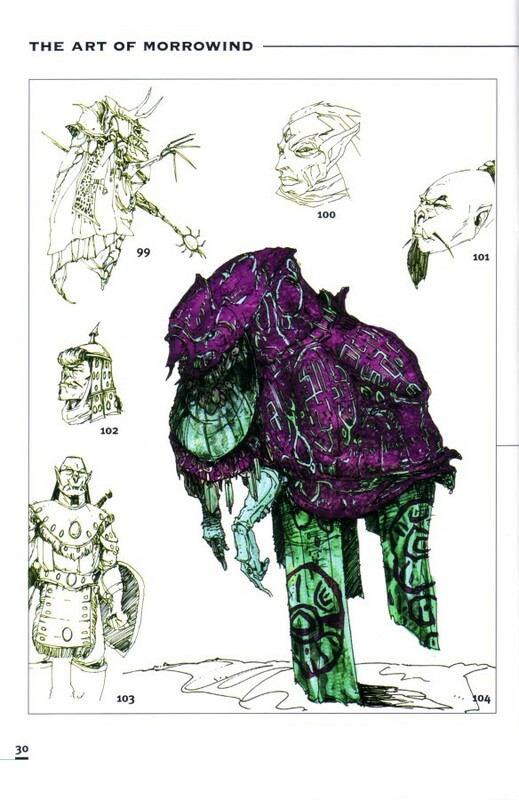 The mouths of the Telvanni Masters, that represesent them in the Parliament of Bugs. The player skips this rank. The high-ranking stewards and assistant to a Wizard or Master. Pledged to the service of a particular Wizard or Master. An member of House Telvanni, without a patron Wizard. Taken an oath to serve House Telvanni, sitll in the process of initiation. The overall details of the Telvanni questline are unimportant for this document, and will be described in greater detail seperately. It generally begins with the player being a Hireling, before initiation into the House itself. At some point, the player chooses a patron (amongst two competing Masters) which they work with, until they approach the highest ranks of the House.